I used canned beans for quick weekday chili. Cook’s Illustrated has identified Goya as the best brand of canned beans, because they are processed fresh in the fields, instead of laying around in storage for an unknown length of time. This is more of a weekend variation on the theme. 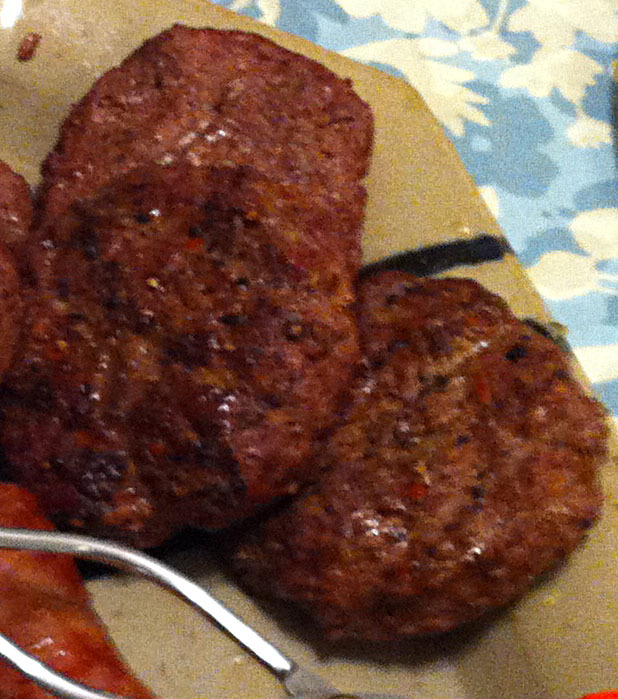 When I made hamburgers—a long time ago—I simply took the meat out of the package, formed it into patties and threw it on the grill. While I still think there is a place for a plain burger, you can do so much more to make simple ground beef into something to write home about. 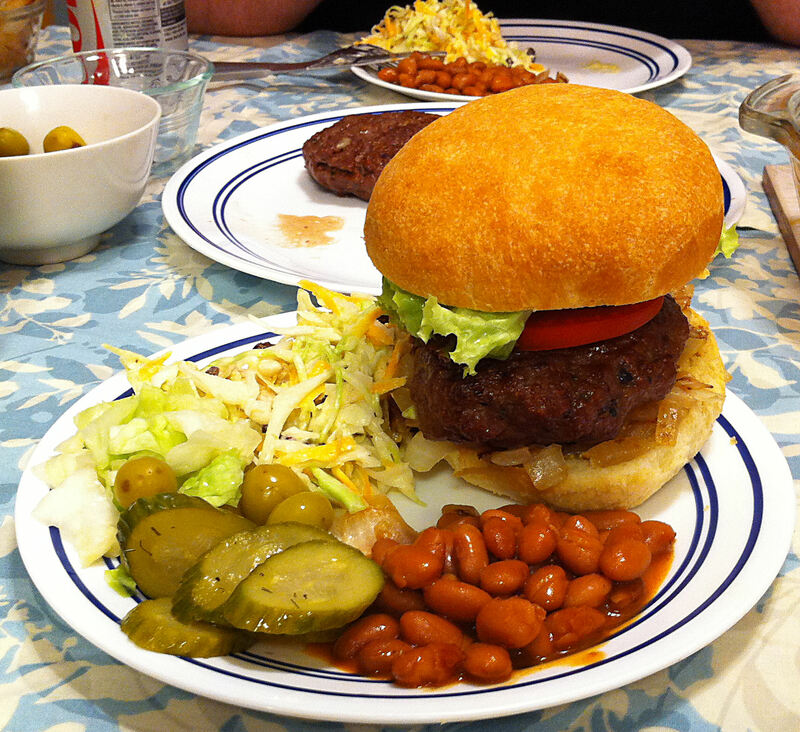 Of course, fancy burgers require fresh buns. Jan decided that she wanted a traditional Labor Day barbecue with sausages and “plain” hamburgers. Sunday, just as I was forming the patties, she passed along the information that the kids wanted “doctored” hamburgers. It was time to get creative—this was a no recipe, what do I have on hand at the last minute idea.